Every year in Kansas we hear funny stories about birds and hunting. Maybe it was the full moon, the start of the whitetail rut or the dismal bird forecasts that contributed to tales of the extra nutty variety this season. 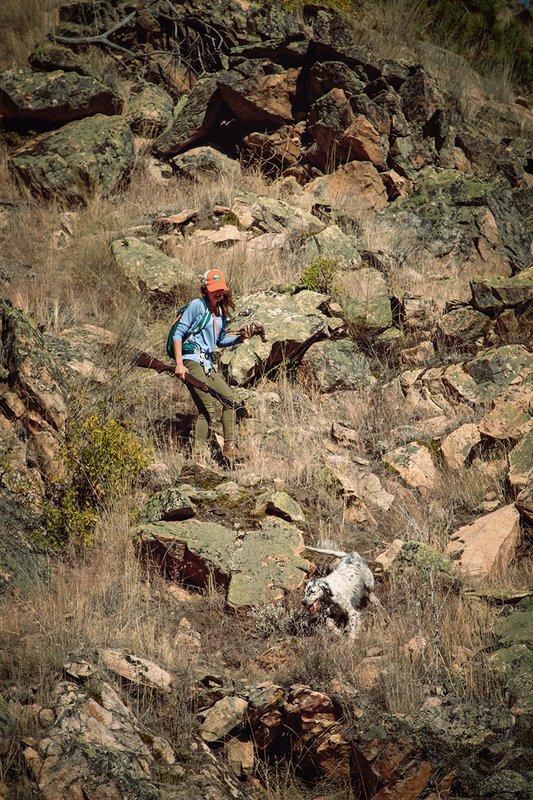 We hunt from a small town that resides in a county with a population just over 3,000. If one person shares a story it is guaranteed to be known in all corners by the end of day. On the third day of the season in Kansas this year we were informed by one of our local friends that he had spoken to a group of out of state hunters while driving home on back roads. He inquired how the hunting was going with a response of “not so good”. 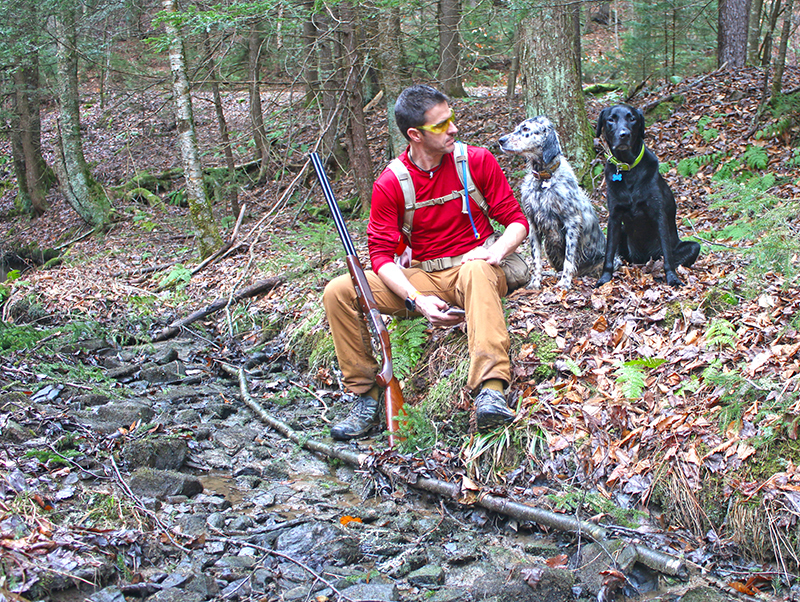 This group of hunters then proceeded to share their theory for the ringneck population decline: the deer have been eating all the pheasant eggs………… That likely bears repeating because this might be the craziest thing I’ve ever heard about declining bird populations. The deer are eating all the pheasant eggs according to this group of non-resident hunters. While at the local gas station the attendant let us know that she spoke with a hunter who had witnessed a marauding band of killer turkeys that rounded up a group of juvenile pheasant into a circle and proceeded to kill and eat them. The gobblers then headed off in apparent search of their next victims. Complaining over the loss of 95% of their birds, the owner of a local restaurant informed me that his adult son had gone out last week and killed three roosters (this would have been a week before the season started). Upon cleaning the birds he found there was little to no meat on them and they were unfit for eating. 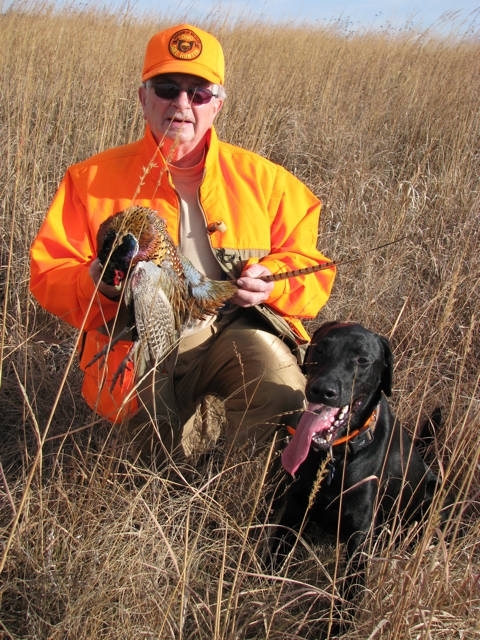 He concluded, the entire pheasant population has contracted a disease and the Kansas DNR is covering it up. A hunter staying in the same motel was happy to inform us if we get in a situation where we need to buy birds, there’s a great guy just west of town who charges $175 for a four bird limit. And If we call ahead he’ll put them out and show us exactly where to hunt. I’ve hunted in Kansas for the last 20 years. For the last decade my dad has joined this adventure. Over that time we’ve developed lots of great friendships with residents we see year-over-year. We tend to hunt the same general vicinity which gives us a pretty decent annual view of what’s happening in the broader ecosystem when assessing bird populations. 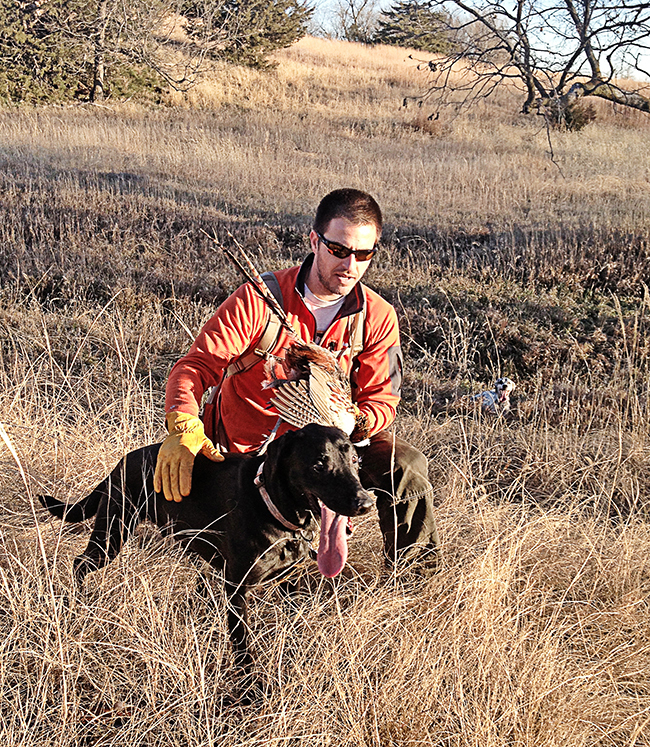 Ringneck numbers in Kansas have been on the decline for the last few seasons. The hard winter of 2010-2011 accompanied by the extremely wet spring seemed to be the initial blow. This was followed by a severe drought the summer of 2012 and drought conditions throughout the bulk of spring and summer this year. 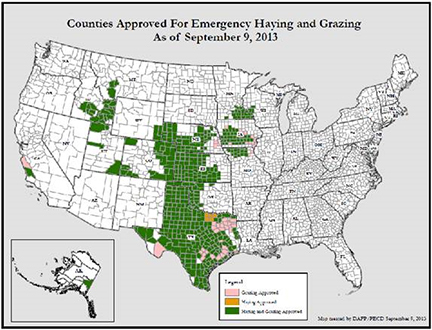 These dry conditions seized a large portion of the center of the country prompting the USDA to allow a massive swath of emergency haying of land enrolled in the Conservation Reserve Program (CRP) — see the map below. 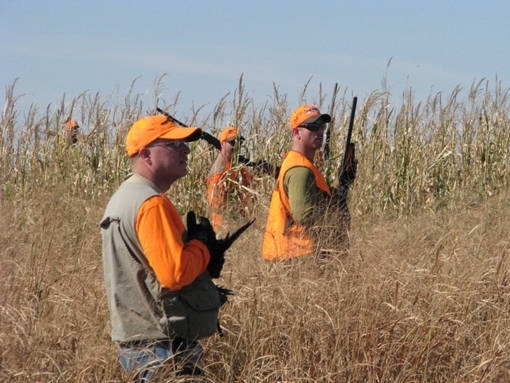 The pheasant numbers in Kansas were lower than I have ever seen. But let me assure you this isn’t a mysterious disease or egg-eating deer. Everything is being bailed: milo stalks, wheat stubble, CRP grass. In the area where we hunt many of those bails are being sold and trucked to other areas of the country even harder hit by drought. Combine this rampant bailing with the generally high prices of grain. We’re seeing more and more areas that were previously enrolled in CRP now being planted. And we’re also seeing fence lines and trees being bulldozed to gain even more area to plant. 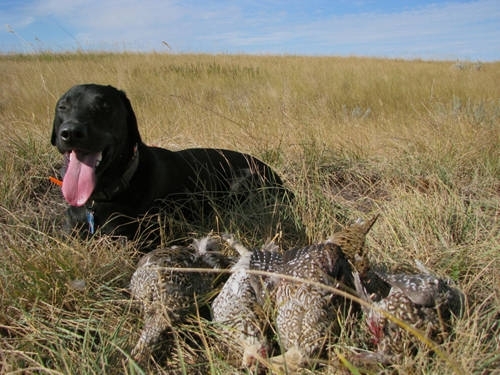 As much as we enjoy a good story, the tale of pheasant decline across the midwest is pretty simple: lack of cover. So we’ll be hoping for a mild winter across the center of the country this year. And then we’d like Mother Nature to serve up decent moisture that allows the prairies, pastures and crops to thrive. We don’t chase bird forecasts so we’ll be back in Kansas next season to visit our friends. 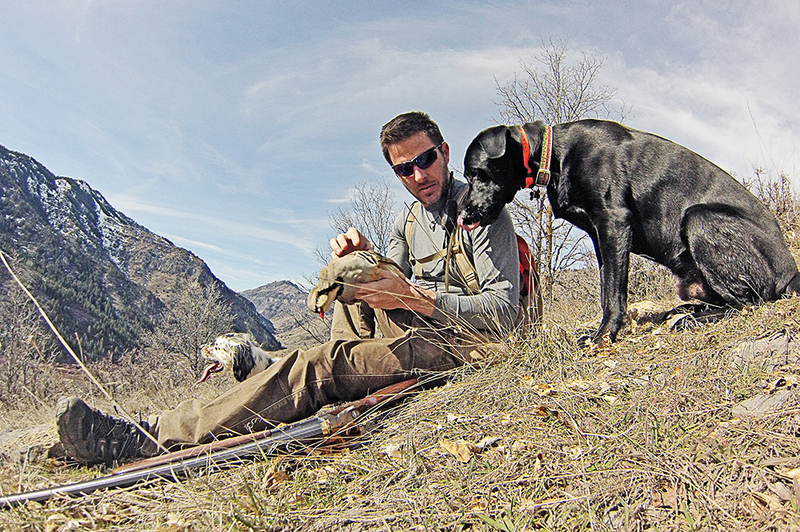 We’re in search of memories afield that have very little to do with bird numbers. And if I’m ever in a situation where I need to buy birds, I’ll go to the grocery and pay $2.99 per pound.